Download a copy of the Full Market Report for December 2015 here. 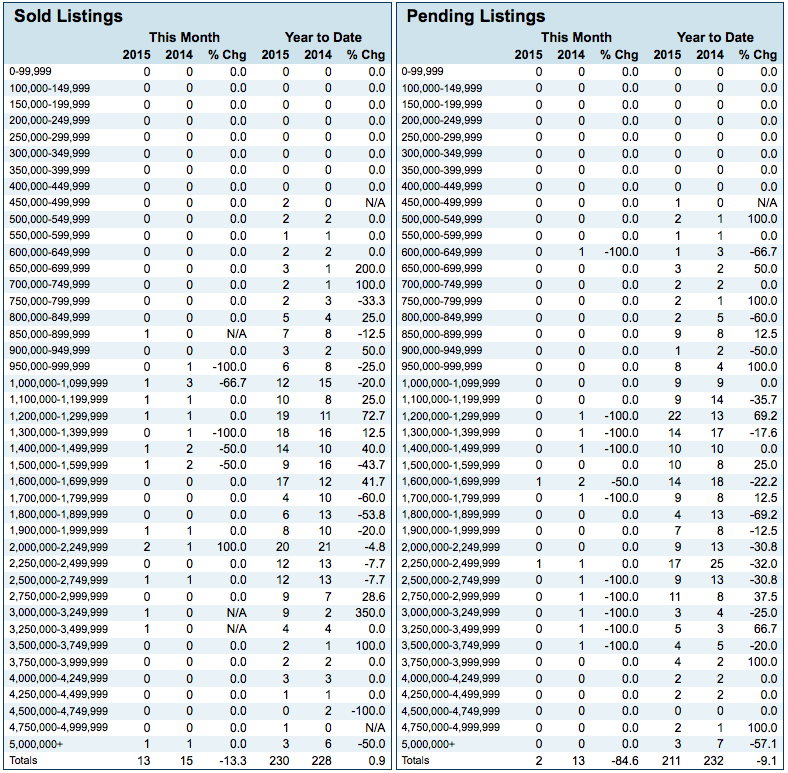 This detail shows a decline in the high end of the New Canaan market from 6 sales to 3 sales over $5 million. We see the floor of the New Canaan market had been $500,000 in 2014 but we had two sales between $450,000 and $500,000 this year. I sold one of them, a small 1950's ranch within walking distance to town, and it is currently being renovated. The other, an 1860 farm house, was technically a New Canaan sale but with Norwalk schools on 1.6 acres. 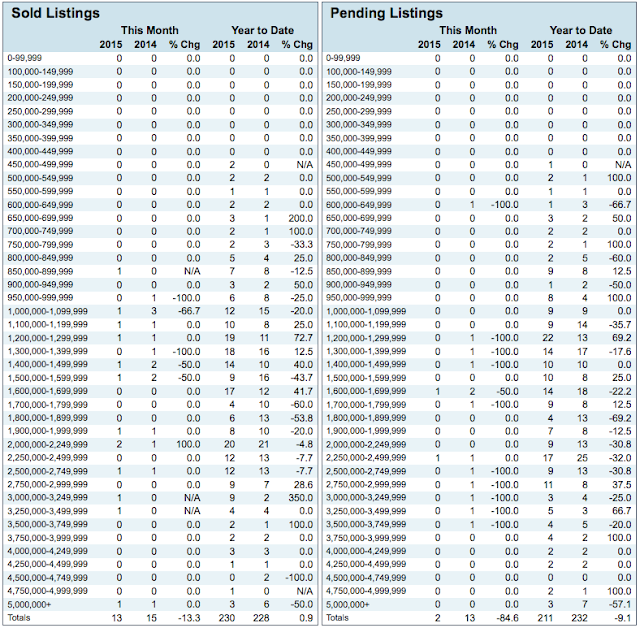 Solds: Through the first 11 months of 2015 house sales totals remain similar to last year and relatively strong. 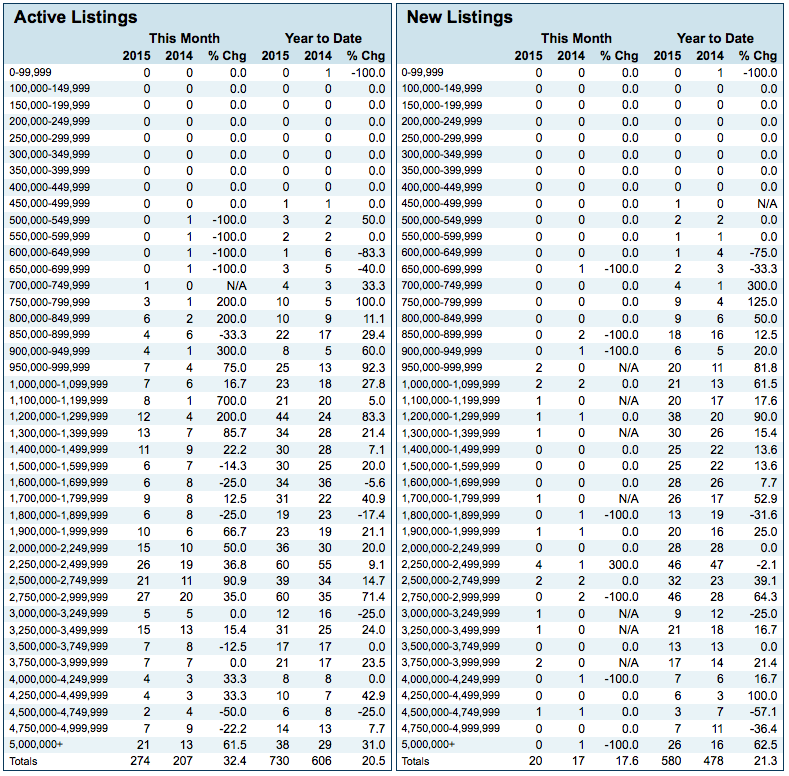 Condo sales are down significantly. Yet, the volume of sales thru the first 11 months of 2015, when looking at house and condo sales combined, is still the second highest total in the last 7 years. 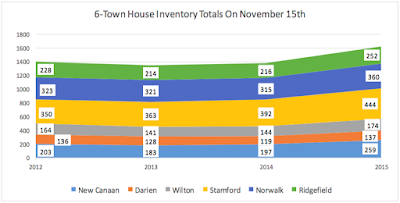 Inventory: Inventory remains high, and not just in New Canaan. 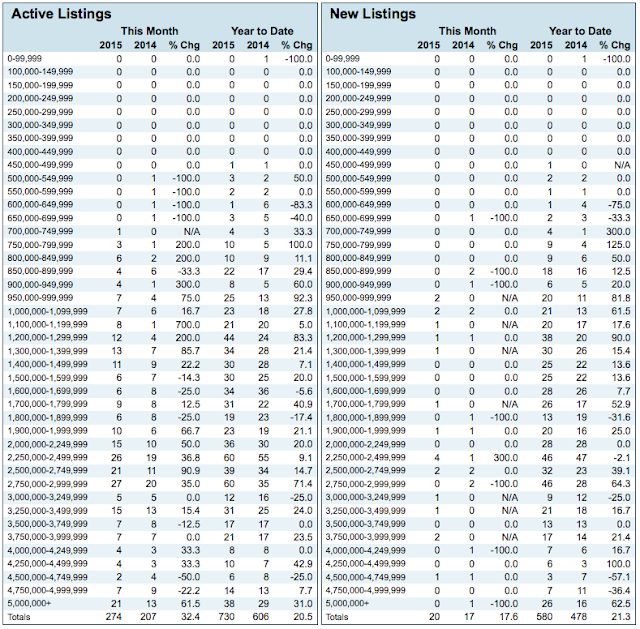 In November the total active house listings for the towns of New Canaan, Darien, Wilton, Stamford, Norwalk and Ridgefield had a year-over-year increase of 17.6%. As a result, absorption rates are up in most towns as well. The absorption rate for all New Canaan house listings at the end of November was 354 days as compared to 270 days at the same time in 2014, a 31% increase. For all active New Canaan condos, the absorption rate at the end of November was 351 days as compared to 104 days at the same time last year, a 238% increase (both based on active listings on Dec. 1st, and solds YTD). Download a copy of the full market report for December here.